Now that the homeschooling in PA year is over, do you know what your children have planned this summer? In between the family vacations and mall hopping with their friends, will the majority of their summer be spent on the couch, binge-watching their favorite Netflix shows? Or maybe they plan on eating their body weight in candy and relaxing all summer. While this sounds like a great time, here at 21CCCS, we think we have a better solution for keeping your children entertained this summer. 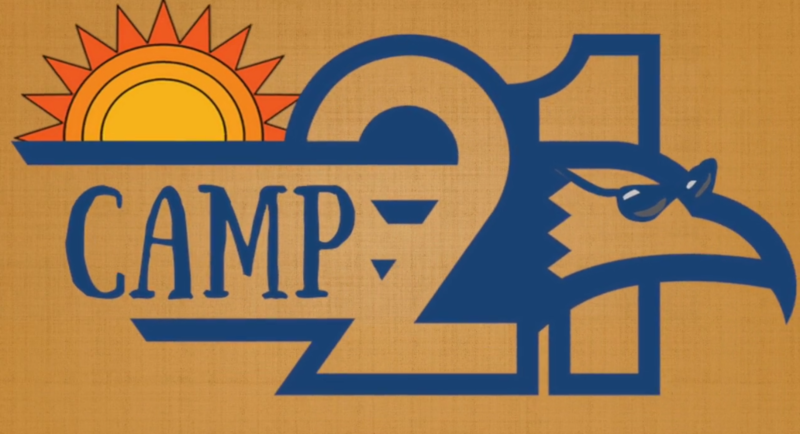 Welcome to Camp 21 Summer Program! 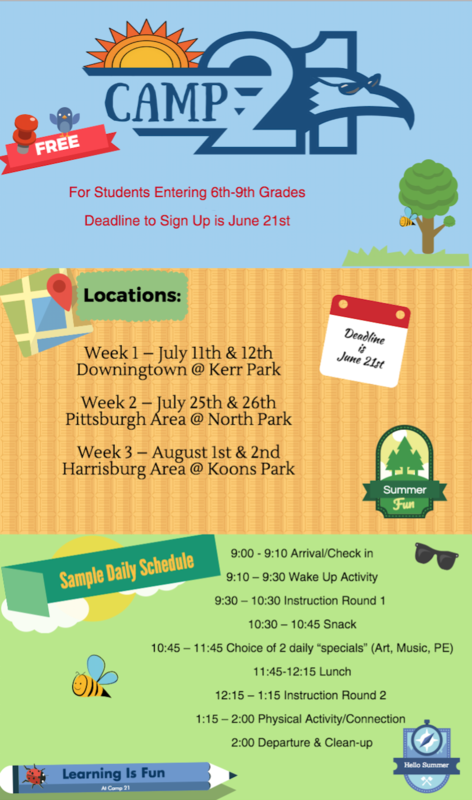 Camp 21, the “edutaining” supplemental summer session held by 21CCCS, is a 2-day camp traveling throughout the Downingtown, Pittsburgh, and Harrisburg areas. Whether your child wants to stay refreshed on the material they have already learned or get ahead by being introduced to new topics, Camp21 is the perfect blend of education and entertainment to keep children engaged. This program, open to students entering 6th through 9th grades, is jam packed from 9 am to 2 pm with plenty of activities to keep children busy throughout the day. The best part (for the parents) is that the program is totally free! Now, you may be wondering why you should send your children to a summer program like 21CCCS. They spent all year learning, isn’t it fair to give them a few months off? Well, of course, which is why Camp 21 is short but sweet. Even though this program is only 2 days, it’s still filled with plenty of enriching material that will benefit your children in the long run. Studies show that children, who attend summer learning programs, even for as short as 2 days, have the potential to improve their academic and social behaviors. During the summer, it’s very easy for children to develop poor habits and lose valuable skills and knowledge that are necessary for the school year. According to a study done by the Wallace Foundation, by the end of the summer, a student’s average performance is one month behind where they left off. In today’s competitive academic landscape, even just a short time away from academics can create a detrimental academic slide in performance. From retaining more information to learning lifelong skills, the benefits of attending Camp 21 are enormous. Help your children combat boredom this summer with an “edutaining” experience that will keep them on track to an excellent academic performance. Registration deadline is June 21st. For more information, be sure to visit http://bit.ly/2rv3Qb3.